How can Jesus love ME? For those of you who read this blog on a regular basis, you may know that I was in Austin this weekend visiting my dad. All you cool kids following me on Twitter may also know that I visited Gateway Community Church on Sunday. But not to see John Burke. I went to see super duper pastor and church planter extraordinaire Vince Antonucci. Not only is Vince a great verbal communicator, he is also author of one of my favorite books ever. For the six of you who have been reading my blog for awhile, this will be a rerun, but since I have some new readers, I wanted to share one of my favorite stories from the book. Even though I had become a Christian, even though I was preaching sermon after sermon on the topic, still I couldn’t feel like I was the one Jesus loves, and it held me back from living a life with him. I continued to wrestle with the question: how could Jesus love me when I knew I wasn’t worth loving? Finally, the answer came out. Actually, the answer came down, again, from my mom’s attic. We were visiting my mother, who would soon be moving from our old house into a condo. She informed us that we’d be leaving with with a bunch of stuff she had been saving for me. Soon it all came down — Legos, matchbox cars, books and…a teddy bear. 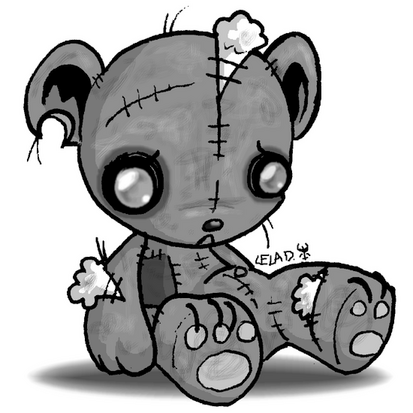 It was my teddy bear, from when I was little. It was a mess. Years earlier, my mother had sewn an ear back on. She had done reconstructive surgery on its neck and back. It was missing fur around its eyes, on both feet, and on his back by the little music handle. It had a big scar across its head. The cutest thing was the four little pieces of fur missing from where my four fingers used to hold it constantly. My finger marks had become permanently embedded in my bear. When I was little, I loved this bear. I carried it everywhere. My mother would turn the music handle and it would make music, bad music, but I would move in tight and that music would comfort me and lull me to sleep. I loved this bear, but there was nothing lovable, nothing valuable about the bear itself. Even when it was new it was obviously not an expensive stuffed animal. It probably cost a few dollars at the time. If you tried to sell it at a garage sale today you might ask for a quarter. It’s just not valuable, except that it is to me, and especially back when I was a kid. And finally I understood how Jesus could love me when I wasn’t worth loving. I realized that the love I had for my bear is essentially the same kind of love God has for me. It’s not a love that loves because the object of the love is valuable; it’s a love that gives value. God knew me. He knew what I was worth in the beginning, he knew the damage that had been done to me over the years, he knew my current condition. But the most significant thing God knew about me was that I was his. I may have been beat up, pulled out of shape, ripped, and left with the stuffing hanging out, but I was his. I may not have looked like much to anyone else, but I was his. And so he loved me. And his love gave me value, significance and importance. Now, I have to admit, I still struggle with this sometimes. Because it’s not just realizing that I’m loved. It’s living it. It’s abiding in Jesus, in his love, moment by moment. And I have good days and bad when it comes to living in his love. It’s like I constantly need reminders…. Well, other people may have told you that you’re not worth much, but the truth is that God wouldn’t trade you for anything. In fact, when he set the price tag on you, it was his Son. And you may be torn and broken. You may still bear the marks of deep wounds. But God is a master at reconstructive surgery. And perhaps, because of all of this, you have difficulty connecting with God. You feel like your prayers bounce back at you off the ceiling. At church others sing out worship songs, but you struggle to, not necessarily because you have a bad voice, but because the words come from a bad heart. And so you’re sure that to God, it’s bad music. But no, when God hears you, he moves in tight. You know why? Because you are his. Because since the beginning of your life, you have belonged to him. He shaped you in your mother’s womb and his finger marks are permanently embedded in you. You are the one Jesus loves. For more information about Vince’s book, go here. I personally ordered a case, and gave them out to lots and lots of folks. Vince is also planting a church on the Vegas Strip called Verve.